I’ve come to realize that getting burned out on model building has reared its ugly head for me. It’s not so much that I’m tired of building models, per se, but rather that why I build has become a bit of a downer. For several years, everything I’ve built has either been destined for Ebay, or as a commission model build. It’s been a great way to supplement our income, and it’s kept my shelves clear of stacks of models collecting dust. Yet somewhere along the way I realized things were out of whack. I made a foray into jet building- new territory for me- and that did help my motivation. But when I built Trumpeter’s 1/72 “New Chinese Fighter” (properly known as the J-10 Vigorous Dragon) I realized that perhaps what I needed to do was keep a simple, small build going, concurrent with my other for-profit builds, simply to keep for myself. Something I could put on the shelf and fly around the room and make airplane noises. So I picked up Eduard’s 1/72 L-39ZA Albatross Weekend Edition kit, for the sole purpose of building it just to sit on my shelf. And the “medicine” has been just what the doctor ordered. No worry about details, accuracy, or whether it’s good enough to sell. Just build it and enjoy it. The kit is a real gem. There have been no fit issues, no construction problems. The cockpit is rather basic, but decals for the IP and consoles make it look nice. The seats are simple, with no belts, and I decided to just leave it that way. Very little seam work was needed, and because it is so small- just a little bigger than my palm, painting took no time at all. Next up will be the decals. I think these little 72nd scale builds will help me stay “in the groove” so I can keep focused on the larger, build-for-pay models I do. I’ve enjoyed knowing I can simply set those aside for a few minutes and do some simple, fun work on a pleasant diversion. The 10 year old kid in me is quite pleased with all this. Previous Post:The Airfix 1/48 P-40B: Scale Modeling’s Holy Grail? 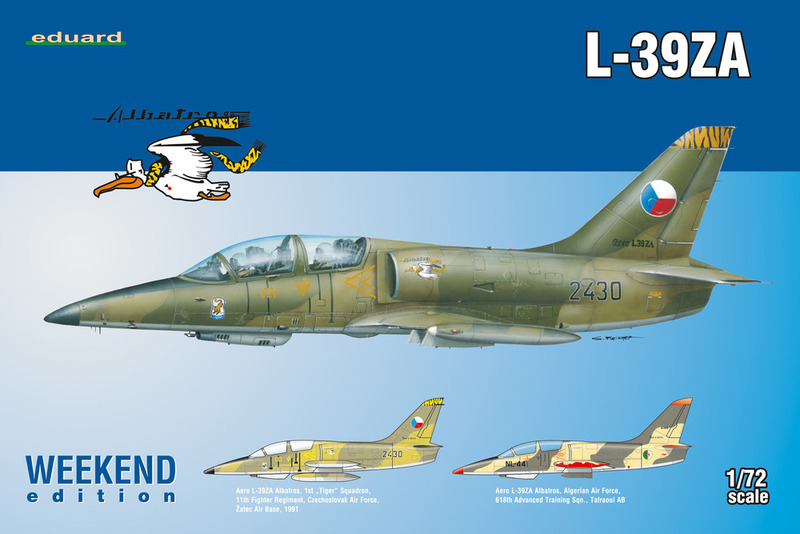 The L-39 is such a nice looking little jet – and your’s is superb looking example Jon! Whose are the Markings? I have to say I’m not surprised you feel the way you feel. I can totally understand why you sell everything (you build so many where would you keep them anyway?) and that it’s the building process you enjoy most of all – but if everything you do is for somebody else, when does it stop becoming a hobby and end up being a business? Sometimes I think we need these little reminders of our handywork, so that we can stand back and admire them and remember the fun we had building them – and of the simple fact that ‘Airplanes are cool’! ? I think that building yourself a col!ection of 1\72 jets is a great idea – there are certainly a lot of really great subjects out there (and keep flying them around the room). And keep us posted on what you’re up too – I always enjoy reading your work. Thanks Stuart! The markings will be Czech.